85/215kHz Black Box Sonar System with 8" Soundome. Includes 400MM Travel Hoist and operates at 12VDC. This dual-frequency Searchlight Sonar is one of the most comprehensive and fastest of its kind. It provides 6 scanning step variations (6,12,15,18,21,24) easily optimized between high precision modes or a high scanning speed, which can cover 360° in a couple of seconds, depending on the distance of the echoes. Due to its fast scanning speed, it can be used at high speeds while covering a very large area. The Sonar provides the fastest and clearest echo for the ultimate fishing and navigation experience. A powerful signal and image treatment based on a unique interpolation technology provides high-definition images. Even if the fish are located near the seabed, the different echoes are clearly shown and easy to understand. The dual-frequency CH600 delivers a crisp, clear image, reducing strain upon the eyes. 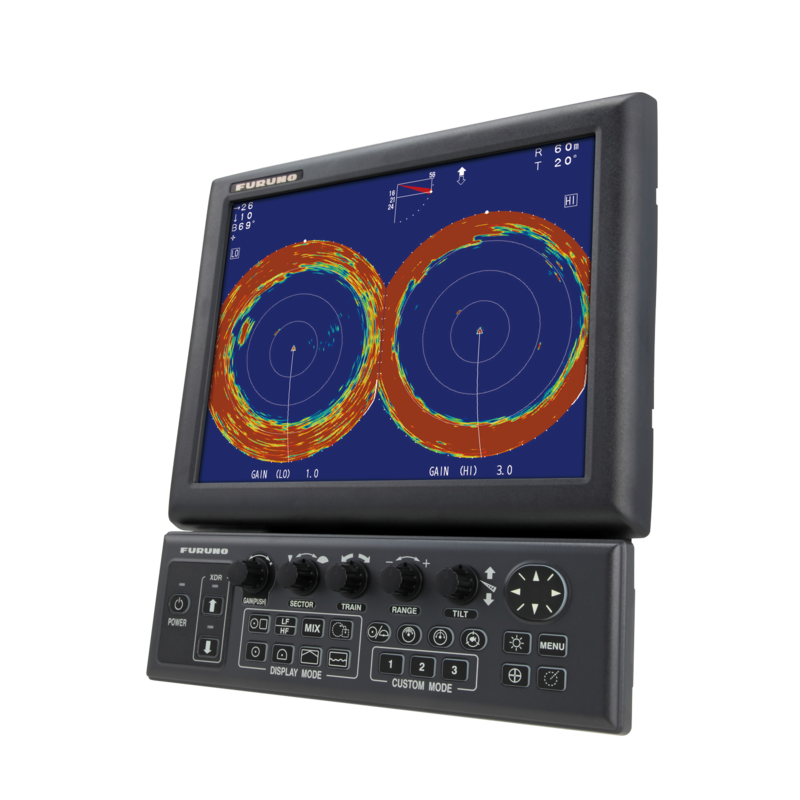 A wide variety of display modes are available, including both single- and dual-frequency Horizontal Scan, Vertical Scan, Full-Circle A-Scope, and a traditional Echo Sounder display. A selection of dual-display modes expand upon the Sonar's versatility, including Horizontal + Vertical, Half-Horizontal + Vertical, Horizontal + Full Circle A-Scope, Horizontal + A-Scope, Horizontal + History, and Echo Sounder + A-Scope. The Sonar also features fish and obstacle audio signal notification, depending on the nature and the size of the detected object. Whether there are air bubbles or fish, large or small fish schools, or depending on the texture of the seabed, the emitted sound is different. It is now easy to differentiate fish schools from the seabed they are moving next to, allowing for better comprehension of the surrounding environment for more productive fishing. The usefulness of this feature cannot be understated during long sea trips, as it frees the user from continuously watching the screen. An optional Loudspeaker required for the Audio function.